The plan appears simple enough: The Miami Marlins this week will ask Dan Jennings to step down as manager and resume his role as GM, according to major-league sources. The change, if Jennings agrees, would occur at the end of the season. The Marlins then would seek to hire an experienced manager, sources say. Neither move would qualify as a surprise; the return of Jennings to the front office was a strong possibility from the moment the Marlins shocked the baseball world by naming him to replace Mike Redmond as manager on May 18. But as always with the Marlins, things might not be as simple as they seem. Clark Spencer of the Miami Herald reported Tuesday night that the team plans, "sweeping changes to its baseball operation, from player development and scouting, all the way up to the front office." Spencer wrote that Jennings could return to the front office, but not necessarily as GM. History shows that anything is possible with the Marlins under owner Jeffrey Loria. Adding to the uncertainty: The power dynamics within the organization have shifted since Jennings left the front office to become manager. Loria routinely sours on his managers; his next one will be the Marlins’ eighth in the past 11 seasons. His relationship with Jennings, which once was quite close, deteriorated as the team struggled, sources say. The departure of Jennings from the front office, meanwhile, resulted in the promotion of assistant GM Mike Berger to GM. Berger and other Marlins officials have sought to expand their influence, sources say, creating the potential for a power struggle if Jennings returns to his previous role. One source downplayed that possibility, saying that any tension within the organization reflects nothing more than the frustration of a disappointing season — and that the return of Jennings to the front office would help the Marlins focus on upgrading the club. Berger, however, has a longstanding relationship with Loria, going back to the days when Loria owned the Oklahoma City 89ers, then an affiliate of the Texas Rangers, in the early 1990s. And Jennings, who is under contract to the Marlins through 2018, has strong interest in pursuing the Seattle Mariners’ GM opening, sources say — an indication that he might finally be restless under Loria, for whom he has worked since ’02. The Marlins, after going 16-22 under Redmond, are 38-57 under Jennings. Injuries have contributed to the team’s difficulties — right fielder Giancarlo Stanton has not played since suffering a hamate fracture in his left wrist on June 26, and ace right-hander Jose Fernandez did not make his season debut until July 2 while recovering from Tommy John surgery. The team also had a spotty offseason, making a strong addition with its trade for second baseman Dee Gordon but stumbling with its acquisitions of righty Mat Latos and first baseman Michael Morse, both of whom later were traded to the Los Angeles Dodgers. 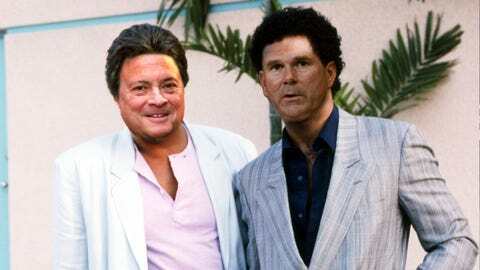 The Marlins, regardless of how their palace intrigue plays out, plan to add to the core of their club, sources say. The addition of a No. 2 starting pitcher behind Fernandez will be one priority, the addition of a closer another; the Marlins attempted to land the Reds’ Aroldis Chapman at the non-waiver deadline, sources say. First things first: The Marlins need to find out if Jennings will resume his old responsibilities, figure out who will be their next manager and GM. The palace intrigue is thick. It’s business as usual under Loria. First domino to fall: Per sources, #Marlins have offered reassignment to VP of player development Marty Scott. He is mulling options.